In addition to a substantial political career and contributing to tribal management, Āpirana Ngata promoted many cultural projects designed to shore up fast-eroding knowledge resources. For example, he initiated and oversaw several marae building projects throughout the country. 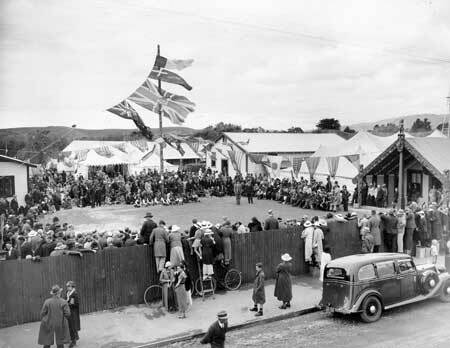 This photograph shows the opening of Raukawa meeting house in Ōtaki in 1936, a project initiated and overseen by Ngata.